Our office in our house has pretty much become my workspace. My sweet husband has just let me gradually take over the space with, how he so lovingly puts it, my "crap". But a girl has to have somewhere to blog and run her Etsy shop, right?! So today I thought I would share some of the tools of the trade that I use the most! I am sure some of yours are pretty similar! 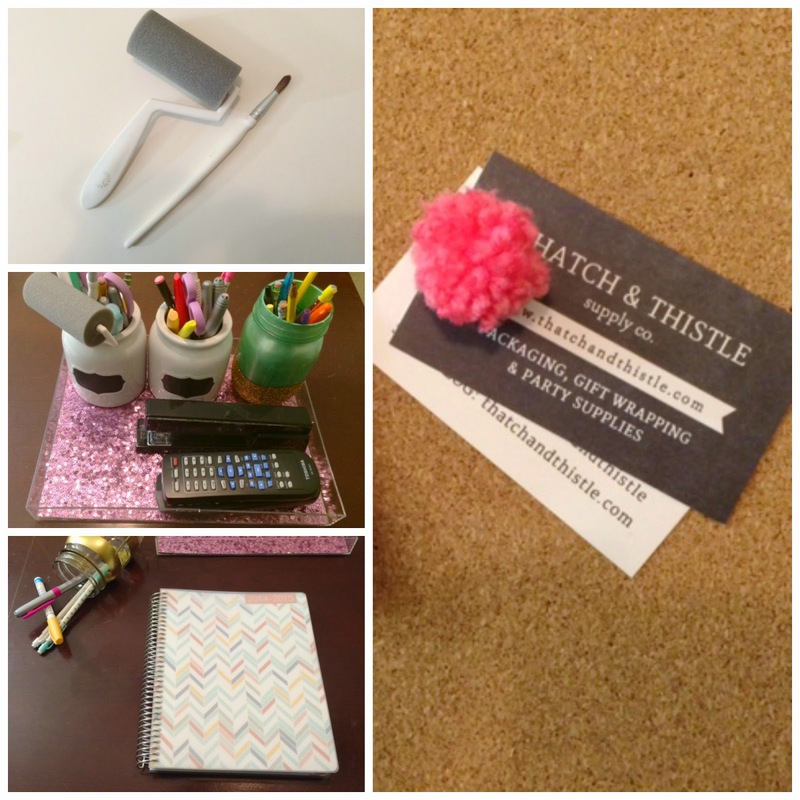 Roller & Brush // These have come in so handy, from using modge podge, glitter, and paint. I love that the roller is a mini size, and can be used on really small projects! Thank goodness for Martha Stewart. Sparkle Tray // This has been an organizational life saver for me. It keeps the clutter all in one corner, and that keeps my husband happy! Planner // Enough said. This is a must for the blogging and Etsy shop owner. Bulletin Board // Mine is currently being revamped, but this is perfect for keeping all those business cards I've acquired over time. You never know when you'll need one again! 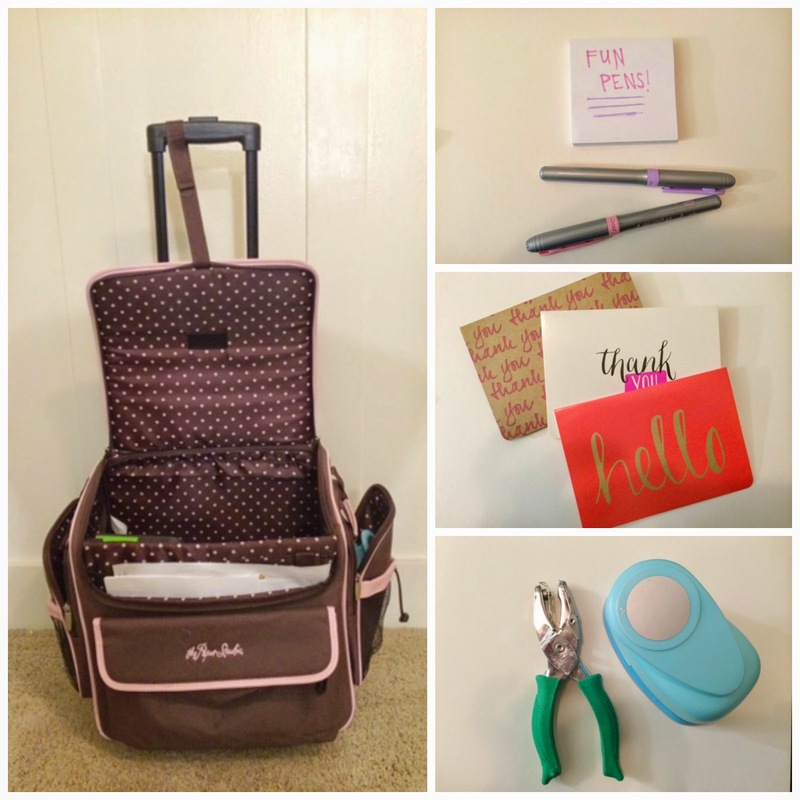 Scrapbook Bag // This was a Christmas present last year, and I don't know what I would be doing without it. I like to scrapbook in my free time (which has been limited lately), but I store lots of other things in here too. It's such a space saver! Multi Colored Pens // My husband actually bought these for me, and I love them! They brighten up my planner, post its, and etsy orders! Cards // You can always find these in the dollar section at Target, and I love their designs! They are perfect for little thank you's to mail, and go great with my Etsy orders too! Hole Punches // I love my different shape hole punches! The mini one is great for tags of all kinds, and the large one is great for decor and crafts! 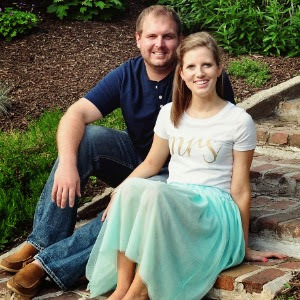 Both were from Hobby Lobby - go figure. These are so versatile! What are your go to office and blog items that you can't live without? I always enjoy these types of posts to see what people have in their office! You've got some great essentials. I'm in search of a bunch of stamps!! I had a whole box of them set aside from my mom, but during the estate sale they got set out and scooped up!!! I'm so bummed! Great list! I would add washi tape - although not a necessity it sure does perk everything up a bit! Fun pens for sure! I have a blogging calendar, too. For my shop, it'd be wrapping supplies, and I also need my sewing machine quite frequently! Now with starting Jamberry nails, I'm going to have to round up some cute cards to mail out samples! There is nothing better than fun pens, it makes anything you have to write better! Hope you'll share the revamp of your bulletin board. Fun pens are definitely an important piece to any office!! I love all the different thank you cards - those are fun! Love this, fun pens and my planner are musts for me! Love all your picks! I have so many writing utensils, it's slightly insane! Oh I love that sparkle tray!!! Did you make it? That scrapbook bag is no joke! I want to come play with all your goodies! I don't have an Etsy shop but I could definitely use some of these items (especially a bulletin board and tray) for my cubicle at work, it would definitely keep me more organized!